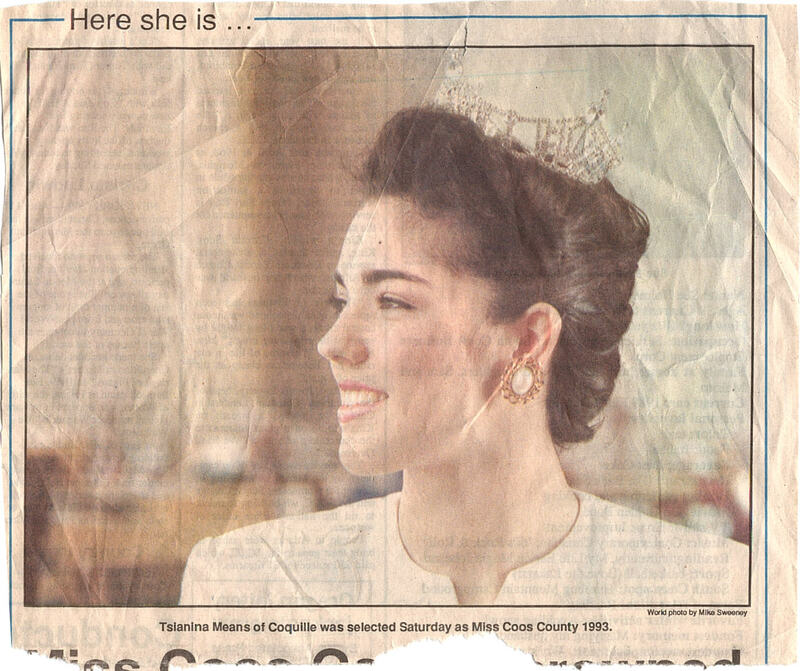 Tsianina as Miss Coos County 1993. Thanks to solo_existance for the picture. Tsianina winning 1997 Fitness America Award.